“We’re now starting to see a scientific basis for why people have been using spices medicinally for thousands of years,” says Bharat Aggarwal, Ph.D., author of “Healing Spices” and a university professor quoted at eatingwell.com. Aggarwal, a native of India, also points out that in his native country, assorted spices are used by the handful. It is when native Indians leave their country and get introduced to Westernized eating habits that they start developing diseases not often seen in their homeland. The science the Western world is discovering – I say ‘is,’ because this is a work in progress – is that many spices contain compounds with medicinal properties; it’s the real deal. Cinnamon, for instance, contains a compound known as cinnamaldehyde, per healthline.com, that is a powerful antioxidant. It helps fight inflammation and has a track record for reducing cholesterol and triglycerides in the blood. Cinnamon also can reduce levels of blood sugar in several ways, to include tapping the brakes on the breakdown of carbs in the digestive tract while also enhancing insulin sensitivity. 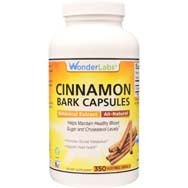 You can read all about the science (complete with scientific terminology) regarding the potential uses of cinnamon bark extracts relative to postprandial glucose at this embedded National Institutes of Health link. Per wellnessmama.com, all spices originate from plants – to include flowers, fruits, seeds, bark, leaves and roots. Close examinations of them have shown them to have antibacterial and antiviral properties, and a significant number of them are packed with B vitamins and trace minerals. These spices with health benefits even include sweet choices such as cinnamon or mint that make sensible substitutes where, otherwise, spoonfuls of sugar might be used. Arrowroot. A starchy, gluten-free herb, its thickening ability make it useful for soups and dips. But medicinal? Yep. Its soothing, highly digestible qualities qualify it as a good treatment for irritable bowel syndrome. Basil. To be more specific, holy basil, a scared herb in India. It helps fight infections and can curtail the growth of bacteria, yeasts, and mold. Cayenne. Works well on a lot of foods and it can help when the goal is weight loss. Ingesting cayenne pepper, and therefore its active ingredient, capsaicin, has been successful in diminishing appetite while enhancing fat burning. Cinnamon. Works great on oatmeal and toast as well. Can help regulate blood sugar levels and reduce bad cholesterol and triglycerides in people with type 2 diabetes, per fitnessmagazine.com. Ginger. A popular spice for a variety of recipes and useful in treating nausea. It also has anti-inflammatory properties, per healthline.com. Various alternative-medicine practices have frequently turned to ginger over the centuries. Mint. This herb is highly versatile, able to calm digestive issues and reduce nausea, and as an oil or tea it can even repel mosquitoes, per wellnessmama.com. Oregano. Popular in Italian and Greek cuisine, it has antiviral, antibacterial, and antibiotic properties, per wellnessmama.com. In other words, it’s handy to have around. Rosemary. 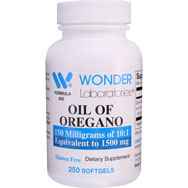 Contains the antioxidant carnosol and has been pegged as helpful for digestion and for healthy cholesterol levels. Its pine/lemony scent also makes it useful in making soap. Saffron. Regarded as a good mood lifter, per eatingwell.com, often found in medicinal teas as well as an ingredient in preparing rice. Sage. Herbalists like sage tea to sip for quelling queasy stomachs or sore throats. 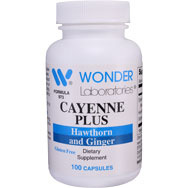 It also has been mentioned as beneficial to those showing symptoms of early Alzheimer’s disease. Thyme. A member of the mint family, thyme contains a strong antioxidant used in Listerine mouthwash. Thyme water swished in the mouth can help with gum infections or in healing wounds resulting from the removal of teeth. Turmeric. 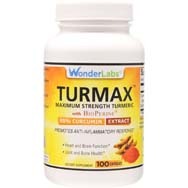 Its main ingredient, curcumin, has been used over the centuries to help heal wounds. A potent antioxidant with anti-inflammatory capabilities, it also has been used to help alleviate arthritis pain and is helpful in managing heart disease, diabetes, and Alzheimer’s.